Purchasing compliance – The never-ending saga. Are you happy with purchasing compliance at your organization? Are your procurement policies fully adopted? Do all employees or departments adhere to your pre-defined procurement policies? If you answered “No” to any of the above questions, you are not alone. You can invest in technology or change the policy but if there is no purchasing compliance, those efforts would go waste. If you answered “Yes” – then congratulations and we invite you to share your story with the ProcureDesk community. Purchasing compliance is a challenge for most procurement organizations. 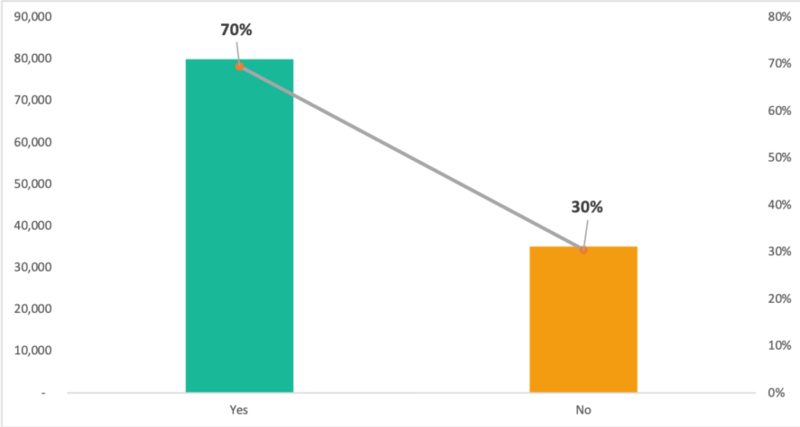 Is it not possible to achieve 100% purchasing compliance? The answer is that you can still achieve the desired purchasing compliance if you are taking the right approach to increasing purchasing compliance. Best in breed companies are achieving this by following best practices and you can do that too. When it comes to increasing purchasing compliance, procurement teams tend to cast a wide net and try to go after all the users in the organization who are non-compliant. We feel that this approach is very laborious and might not achieve the desired results. You see some improvement with this approach, but then the behavior quickly reverts back to the mean. Procurement can increase purchasing compliance by following user mapping technique which we will introduce in the later section. 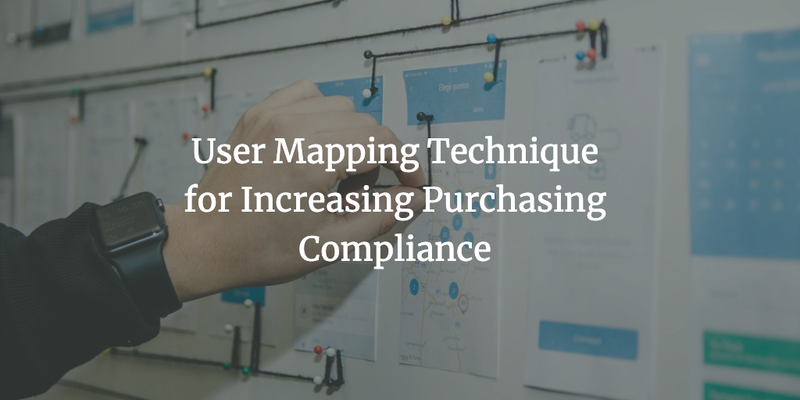 With user mapping technique, you can see an immediate increase in purchasing compliance without spending hours and hours of working with your users. 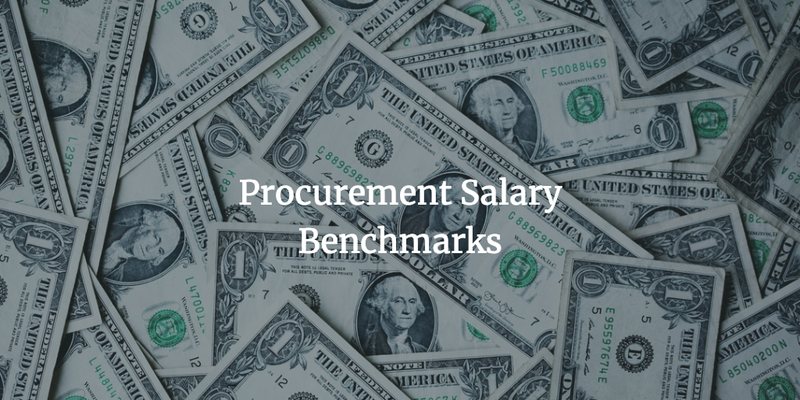 As per the latest Hackett study about the procure to pay benchmarks studies, organizations are trying to solve this challenge by investing in procure to pay technology. If you look at the above study, there are few different types of purchasing compliance which companies are trying to address. Let’s look at the top issues related to purchasing compliance. This is a common reason for maverick spend because the local purchasing process leads to different stakeholders doing business with their own preferred suppliers. 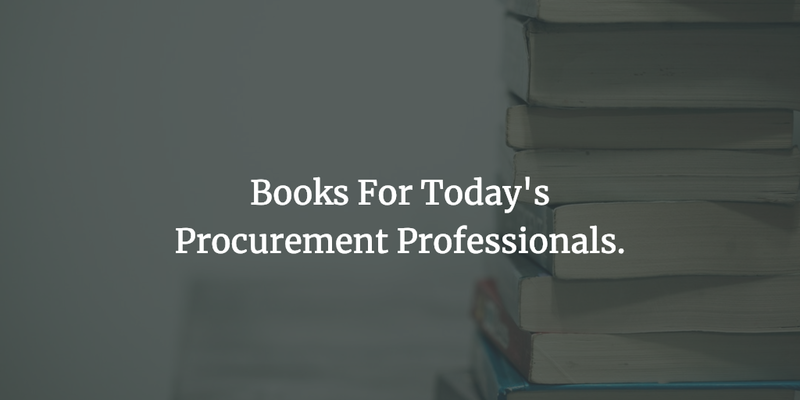 When you don’t have a procurement system, this becomes a big challenge because there is no easy way to route the buyers to the preferred suppliers other than manually enforcing the compliance which is a challenge. If your organization have multiple business units as a result of the acquisition of different companies over time, it is not uncommon to see a different version of the purchasing policy. Lack of a centralized purchasing policy leads to different processes followed by different business units and that leads to an increase in maverick spend. The interesting part is that each business unit can look at other business unit spend and call that maverick spend because each business unit can have its own preferred supplier. If you don’t have standard controls, then that can lead to maverick spend. A simple example of this is to ensure that purchase orders are created for all purchases. Though this is a simple process, it could be challenging when you lack basic controls to ensure that the purchase order policy is followed. Doing it manually can take a lot of time but even with the manual approach, there is no way to ensure that your employees once informed will keep on following the policy. It’s interesting that 54% of the companies are trying to address this challenge. We believe that the problem is not the violation of the purchasing policy but how different stakeholders interpret the purchasing policy. – Not following the defined bid policy. In most cases that means, selecting a vendor without running a formal evaluation process like Request For Proposal (RFP). – Spend not being authorized at the defined authorization level within the organization. – Spend without a purchase order. – A missing contract where a contract is required. – Purchasing product and services for personal use and pretending that it is for company use. We are sure you can come with a few more, but in our experience, these are the most common examples of policy violation. Channel compliance is a major issue for companies and major reason for not achieving your purchasing compliance goals. As the purchasing team, you are defining different channels for purchase, and most of the channels need a purchase order. So purchase order compliance becomes a challenge. Best of the breed companies can achieve purchasing compliance of up to 98%. Achieving this kind of performance needs automation and consistent evaluation of the process. 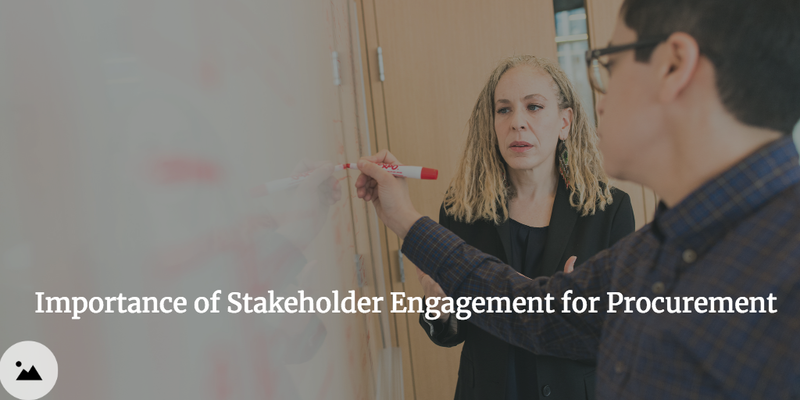 It needs continuous communication with stakeholders to bridge their gap in understanding the procurement/purchasing process. As you can see from the above metrics, you can achieve up to 80% perfect order rate if the other upstream steps are followed in the process. 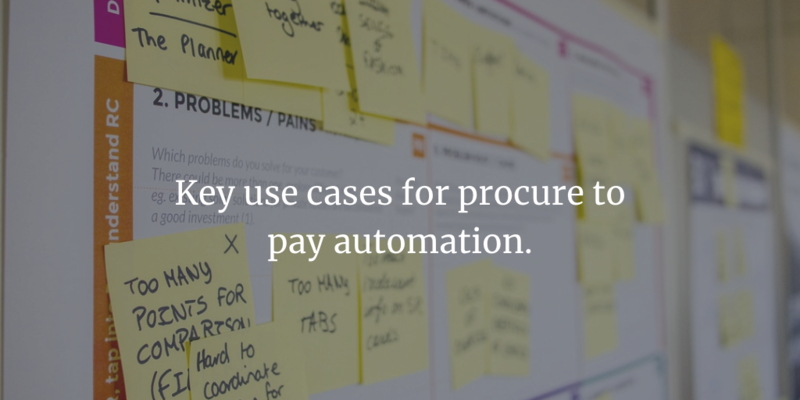 Having purchasing compliance upstream (Purchase orders and receipts) leads to a better match with invoice and streamlines the end to end procure to pay process. We are by no means discussing a new problem, purchasing compliance has been an issue till the time companies have procurement departments. So what are companies doing about solving this problem? In today’s world where we can summon a car with the push of a button, we expect our employees to read and follow purchasing policy. Well, we have news for you, most people don’t read purchasing policies. Purchasing is just one step in the whole process of something your employees are trying to achieve. That could be finishing up a project, a team event – In another way, creating value for your company. So they follow the process which is more convenient to them, They don’t care whether if that is the standard process. Procurement tries to correct this behavior by creating and enforcing a strict purchasing policy which only goes so far. We are not saying people don’t follow policies but not all users follow purchasing policies. What you need is a way to implement a purchasing policy which is intuitive for your employees and easy for procurement to manage. Since the mass enforcement approach doesn’t work we came up with the user mapping technique. Once procurement teams have a strict policy in place, the next step is to communicate the policy out to all employees. Most companies have an internal website where employees can read the communications. The other common technique is to send an email blast via your corporate communications group. We have a quick question for you. Do you pay attention to corporate communications unless it impacts your salary or your job directly? If you answer Yes, you are a good corporate citizen and we admire you for that! If you answer No, welcome to the majority. The way users are bombarded with emails and messages in their personal life, the same is true for your corporate life. Even if people are paying attention, they would forget the message by the time they have to purchase something. We are not saying that you can’t come up with some effective communication campaign but it is a lot of effort. If all else fails, procurement teams start escalating non-compliance issues to the department managers of the biggest offenders. This approach works but not for long. Let’s assume you are complaining about a person who is a strong member of the department. This is one of the things they do. You went and complained to the department owner for the first time that the employee is not following policies. You would see an immediate correction in the behavior of that person and you pat yourself on the back! Some time passes and that user is back to their normal behavior- which is doing what they normally do. How many times would you complain? Our guess is not more than twice, and that is the reason escalating the noncompliance issues doesn’t work in the long term. As the name suggests, the user mapping technique is a user-focussed approach.userThe Pareto principle also called the law of vital few, focus on 80/20 rule. 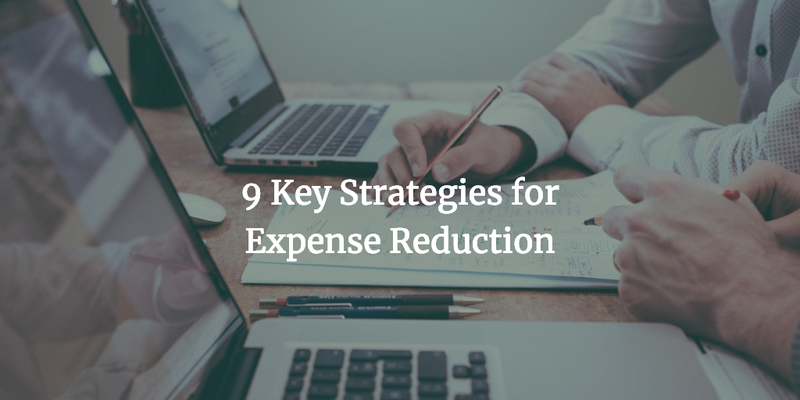 The principle also applies to increase purchasing compliance. The user mapping technique is first and foremost focused on users. What that implies is that rather than focusing on all users to increase purchasing compliance, you focus on vital few who can dramatically increase purchasing compliance. It’s that simple. When you think about that, there are few repeat offenders who don’t follow the policy. That could be a lack of awareness about the policy or they just don’t like the bureaucratic process of purchasing, they want to buy from whomever they want to buy. The only exception to this when there is a conflict of interest for the buyer and supplier and the buyer is getting a kickback from all the purchases. In that case, focusing on user/s is not going to help. You should escalate the situation as a policy violation to the HR department. Most HR policies have a section about conflict of interest. If there is any doubt regarding conflict of interest, read your HR policy! – usually, you would find this in the code of conduct. Let’s start by gathering your purchasing data, preferably for the last 12 months. If 12 months is too much, you can pull 6 months data too. If purchasing compliance is an ongoing issue, you would see that even in 6 months of data. You can either pull your invoice data or purchase order data. There are pros and cons. Invoice data might not be that granular because of how it is entered in the system. Purchase order data is more granular especially if you have an online purchasing system. Even though purchase order data is more granular, it might not be complete as all users might not be creating a purchase order for all of their purchases. So based on your systems and data availability, you can decide on a data source. What Data you should pull? It depends on what key metrics you want to observe to get a handle on the current purchasing compliance. Whether every purchase has an associated purchase order, or in other words – does every invoice have a purchase order. There are of course exceptions here, for example, tax payments, regulatory payments, etc. 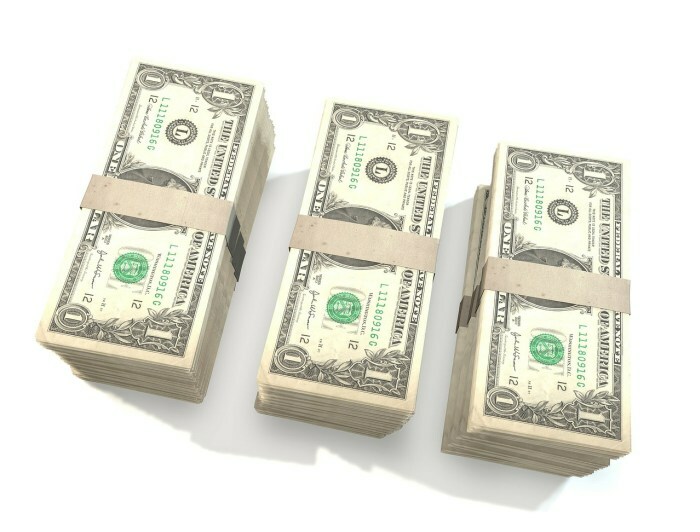 You might have these payments being made directly from your ERP system. If they are part of your data source, just make sure you have the required data to identify those cases. The goal of this metric is to track whether the current spend is going through preferred vendors or not. For example, you might have a preferred supplier for purchasing office supplies, but your purchases are all across different vendors. Channel compliance means whether your users are currently using your preferred channel for purchase. For example, you don’t want Blanket orders to be used for material items, but your users don’t care because it is inconvenient to them. Another issue you want to track with channel compliance is whether the spend is on the catalog or not. You probably have a catalog for certain items, but your users are not using catalogs and preferred pricing. Put this in an Excel file or google docs and it should look like this. You can add more fields to it for your analysis if need be. Again it depends upon the data availability but if you are using a good purchasing system the data should be readily available. This is straightforward assuming you have filtered out exceptions like taxes etc. If you haven’t done that, you should first identify all vendors which are exception vendors. Identify all the invoice line items where a purchase order should have been present but no purchase order exists. For those line items, mark “Purchase order compliant?” as No. For the rest of the items, you can mark “Purchase order complaint?” as “Yes”. This step is usually time-consuming because you need to identify transactions with preferred suppliers. There are a couple of ways to do this and it depends upon what data is available in your purchasing system. A first approach is a category approach wherein you are identifying preferred vendors for each category. If you have that data available, you can just use a Vlookup function in Excel to identify all transactions which match the category and supplier profile. Now if you have good category data, this is not an issue but our observation is that in most cases this data is not readily available. The alternate approach is to focus on catalog or item master spend. If you have a way to identify items which are part of your item master, then you can easily mark those items as compliant, assuming that all items in your item master are from preferred vendors. If nothing is available, then you can follow a vendor approach. This is not full proof because you might have one vendor preferred for only one category and not all the categories that the vendor can provide. For vendor based approach, create a pivot table in Excel and then start identifying each vendor as compliant or not. Once that is done, it is easy to just look up the flag by leveraging the vendor data. Channel compliance needs data from all the purchase methods to ensure that your analysis is complete. This field should be available in your data feed or you can add that as an additional column. The next step is to identify whether the users are following the appropriate channel. For example, you have a punchout for office supplies catalog but people are purchasing it using their credit cards. Mark the “Channel compliant?” field Yes or no accordingly. Once you have the transactions marked as compliant or non-compliant, the next step is to identify how big the issue is. What do we mean by that? Though we have identified different types of compliance, the priority for each organization could vary depending on the maturity of the organization. 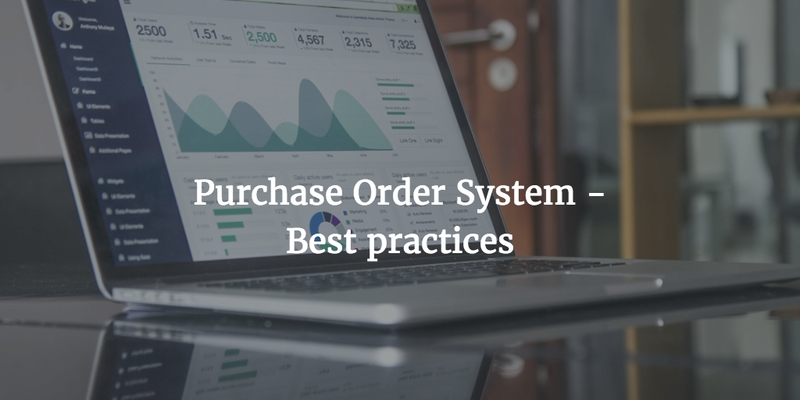 Let’s take an example – Assume that you have just implemented a new purchasing system but the adoption is low, maybe users are still not creating a purchase order for all purchases. 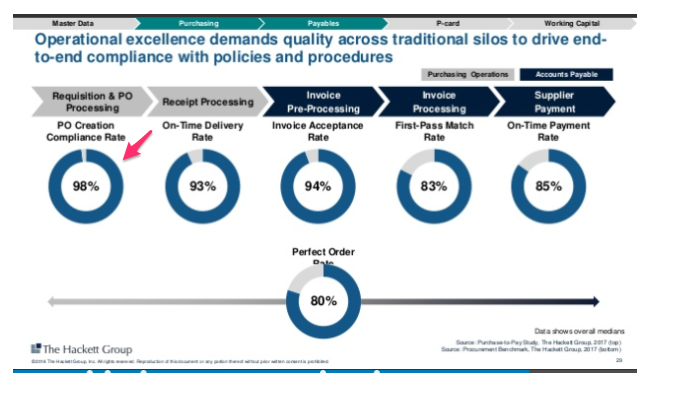 Now, in this case, your priority should be focussing on purchase order compliance because if the purchase order compliance number goes up, it will automatically drive up vendor compliance. The key assumption here is that you have inbuilt catalogs and your system can route your users to preferred suppliers. Focus on one metrics at a time. The quantification is equally important, how big is the problem both in terms of volume and spend. For example, you have 1000’s of transactions which are noncompliant but they only amount to a small amount of Spend. Just looking at the volume might not give you an accurate picture of the issue. Once you have identified the compliance issue you want to address, the next step is to identify the users who are the root cause of this issue. Again do the same analysis for users, volume and dollar amount. This will allow you to identify quick wins. Then prioritize your users and start approaching users. We recommend doing this in batches, take for example 3 users at a time and have individual meetings with them. Measure the compliance improvements and then move to the next cohort of users. Before you start approaching users, baseline the compliance rate and your goal for compliance in different buckets. If you don’t have a target then how would you know whether your approach is working or not. We believe in the power of small wins, so let’s say you are currently at 50% purchasing compliance rate and you want to increase it to 90%. You might not get there in one month but if you start noticing positive movement towards that goal, it will keep you motivated to keep moving towards that goal. So now you have your target users identified, the next step is to of course pick up the phone and call them. Have you approached them in the past? If we have approached the users in the past, there is no point in reaching out again without first understanding why it didn’t work in the past. Let’s take an example – there is a user who doesn’t create purchase orders and keep on processing non-PO Invoice. You explained to them the process and how this is going to simplify the transaction for everyone. The user did start creating the purchase order but then they stopped and went back to their old ways. It is important to understand why that happened, maybe the user finds it difficult to create purchase orders or they lost the instructions and didn’t bother to check that again. Empathy with your users is the key to increasing purchasing compliance. What has worked in similar situations? Are there common patterns among users? That is a good question to ask because if there is, it is an easy fix. You can just use what has worked in similar situations. Identifying patterns becomes easy if you are familiar with the process and your user behavior. Rather than saying why our users don’t understand simple instructions, ask why the pattern keep on repeating again and again. Is this is a process issue? The other important consideration is whether this is a process issue. For example, you expect your users to always create purchase orders but they are purchasing services and sometimes they don’t know what the exact cost would be until the work is finished. So they wait for the invoice to show up and then submit the invoice for payment. Because for them, it is convenient to do so. So consideration should be given to carefully review the process and see what can be done to improve it to so that it is well suited for your organization. Approaching users about purchasing compliance violation is a tricky topic, you don’t want to come across as authoritative but at the same time want to ensure that they understand that they need to follow the process. In our experience, when it comes to the adoption of policies, it never works if you threaten users of policy violation. Never threaten user with consequences of not following the policy, that will not go anywhere. 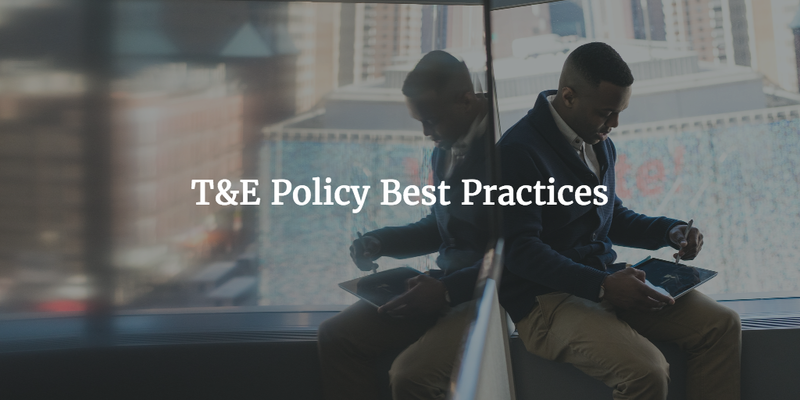 It is very tempting to let employees know what the policy is and why everyone needs to follow the policy. We might sound like a broken record now but you need to have empathy for your users. But we think it is worth mentioning one more time. Before you go and suggest changes, put yourself in your user’s shoes and try to understand what challenges they might be facing. A very common problem we see is with casual users, these users probably place an order once every month and sometimes they forget what the process is or who are you preferred vendors for a certain category. Purchasing products or services is not an everyday activity for most of the employees and that could be the reason for non-compliance. Let’s take another scenario, you have just implemented a new purchasing system and along with that, you have changed your purchasing process. But a certain power user keeps on following the old process. You think that you have trained users so they should know the new process. It is possible they have forgotten the new process. It is also possible that the new process is cumbersome. Empathy with your users helps you see problems more clearly and offer a solution. When you set up a meeting with your users to talk about purchasing compliance, start with the intent of the purchasing policy before you get into non-compliance. Start with explaining why the policy was established and what were you trying to achieve. You all are in one team, so making sure people understand the intent helps to break down the department barriers. 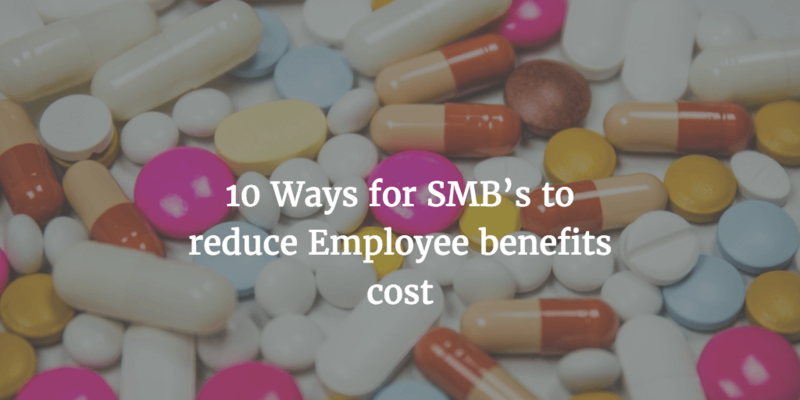 What is the benefit for the organization and what is the benefit for employees? For example, creating a purchase order streamline the whole downstream process and ensure that suppliers get paid on time. Isn’t that beneficial for all? If you know the problem beforehand then offer a solution at the same meeting. You can do the homework by looking at a couple of non-compliant transactions. By looking at the transactions you can easily identify the reason for non-compliance and that allows you to offer a solution to your user base. By having a solution ready you can save time during the follow-up meetings. It also allows you to get immediate feedback from the user whether the proposed solution would work. In our experience the issue with purchasing compliance is not always that users don’t follow policies, they just forget what you told them 🙂 or they find the process too cumbersome. So go with the assumption that the users might forget what you just told them or they would need additional follow up and support. Set up a follow-up cadence with each of the users in the cohort. Setup weekly, and bi-weekly cadence. You might think that it is too much follow up but you can always cancel the follow-up meetings if it turns out that your users don’t need any further assistance. The final step in the user mapping technique is to rinse and repeat. As we mentioned above, you need to have a target goal and you should have a cohort of users. Once you are done with one cohort, you can move on to the next cohort of users. Since you are prioritizing users based on volume and spend, you would see a jump in purchasing compliance numbers by working with your top users. After that, it is going to be an incremental increase. You can decide when to stop based on your goals. You might want to reach 100% compliance and that is all right, go for it if you have the time and resources to work with users. User mapping technique is very similar to the category approach. 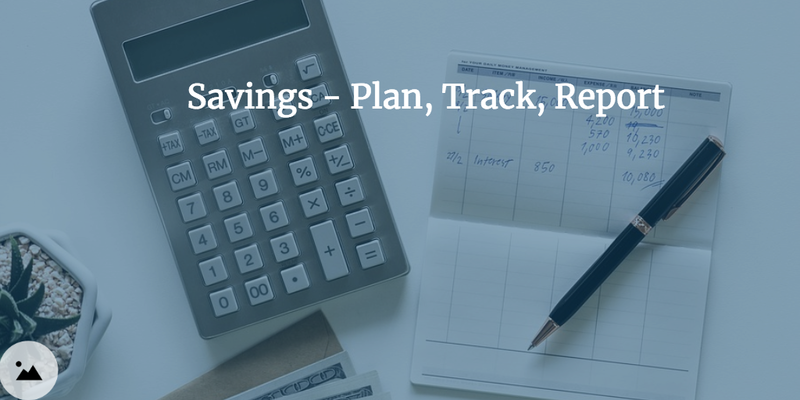 You go after categories which can deliver large savings and the same is true for increasing purchasing compliance. We strongly believe that an individual user based approach is much more efficient as compared to going after the whole set of users at the same time. There is no point of conducting training after training when each user might have a different problem or issue they are trying to solve. We would like to hear your stories about purchasing compliance, feel free to drop a comment.